Are you passionate about the ketogenic diet but it seems hard to entirely dedicate your lifestyle to it? An occasional carb dinner is necessary, but that keto flu just gets the best of you. Maybe you are an athlete who need an extra boost for those endurance workouts. You have got so far but can’t seem to beat that extra mile that would skyrocket you to a state of clear mind and pure power, with all the benefits but none of the downsides. The solution is straight forward. 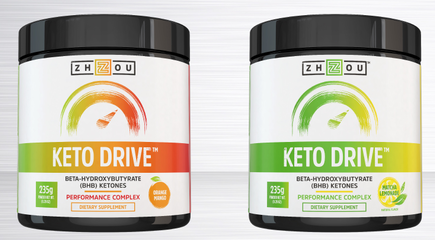 Stack up on the best exogenous ketones there are and get ready for takeoff. Which supplement can offer best results? What about TASTE? Let's find out. What happens to your body when you are in ketosis? Can you get knocked out of ketosis? How do you get back into ketosis? Exogenous ketones: what are they? Raspberry ketones: are they the same as exogenous ketones? Combining exogenous ketones with other supplements: is it safe? What about Ketond vs . Pruvit? 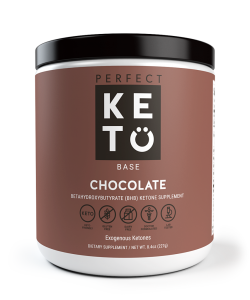 Perfect Keto (PK) exogenous ketones boost levels of blood ketones, improve your energy levels, ability to workout longer and more efficient, and clear four brain function and focus. Without any additives, fillers, and binders, Perfect Keto Supplement helps you enter ketosis and stay there. In my experience it is the best ketosis supplement (can beat just about any product in top 10 lists you can find online). Mix one scoop of this supplement with water, coconut milk or any other plant-based milk. You can add it to coffee, green tea, black tea and any low-carb drinks, or shakes. You can drink this powder any time of the day to raise ketone levels and boost energy. For the best result, take this supplement in the morning, best on an empty stomach, but you can use it up to three times daily. 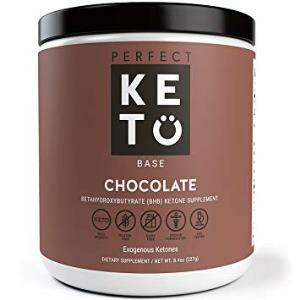 Recommended for those keto dieters who are already on the ketogenic diet, or others who want to get back into ketosis after their cheat day. Calcium, Magnesium, Beta-Hydroxybutyrate, Cocoa powder, Natural Chocolate Flavor, Monk Fruit, Stevia Leaf Powder. 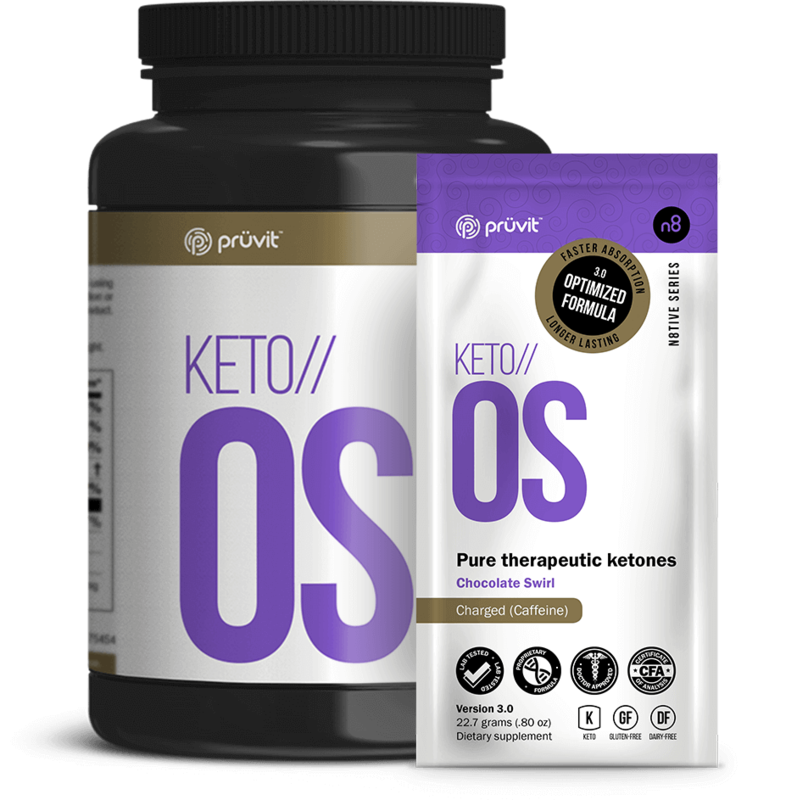 A supplement from the ketone salts category, Pruvit Keto OS, or Ketone Operating System, is an exogenous supplement to help you reach ketosis, lose weight, keep a clear mental state, reduce inflammation, and even boosts your mood. Perfect pre-workout supplement holds your energy high and your focus clear when you head out to your favorite gym. How to use Keto OS Pruvit? Start small and increase the consumption as you go along. Start with 1/2 packet a day and move slowly to 1 whole package. You can drink Keto OS twice daily. Who is Keto OS Pruvit best For? This keto product is for people who want to get back into ketosis fast and with minimal effort. These vary from favor to flavor; some are dairy free, others are not. The whole range includes MCT Powder, Beta-Hydroxybutyrate, Stevia, Caffeine, l-leucine, l-taurine, and a few others. Adding BHB ketones to your system may boost your state of ketosis yet compensate your body with the electrolytes, generally lost during workout: magnesium, sodium, calcium. With a kick of energy, this powder will provide the energy kick you need to get you through the day with a positive mindset. How to use KETO DRIVE BHB Salts? Compatible with other hot and cold drinks, you can add Keto Drive to water, shakes, and any other beverage you prefer. 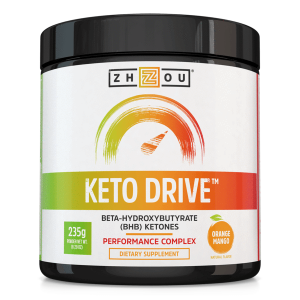 Who is KETO DRIVE BHB Salts best for? This product is best for people who are looking for a healthy supplement to help them get in shape, lose weight, and prevent keto flu when needed. Acetone, Acetoacetate (AcAc) and Beta-hydroxybutyric (BHB) are the three types of ketones or ketogenic bodies, present in our system. They are acids which appear when the body breaks down fat for energy, which is what you want if you follow a ketogenic diet. If you are a vegetarian, it's a bit harder to follow but still doable. Ketosis diet plan for vegetarians guide can help you with that. If you are vegan it is also a good idea to supplement with vitamin b12. This process occurs when you are low on glucose is no longer the primary source of your body’s fuel: either after an intense workout or on a low carb diet. A metabolic state when your body starts breaking down fat for energy is known as a state of ketosis (body use ketones for energy). There are different levels of ketones present in your blood that influence your weight loss process. The normal ketone level in the blood is below 0.6 millimoles per liter. The ideal range of ketones to be in ketosis and to lose weight is between 1.5 to 3.0 mmol/L, but it all depends on an individual. With time you will learn how your body feels, monitor your levels, personalize it to your specific example. The keto flu is the typical reaction to the body’s adaptation of burning fat instead of glucose for energy. You might never experience it, not everybody does. Those that do can mistakenly give up the new diet because of the unusual symptoms they encounter in the beginning. What is the keto flu symptoms? It is how the dreading keto flu looks like nausea, heart palpitations, dizziness, sensitive stomach, and difficulty focusing. The flu does not affect everyone in the same way, and the symptoms disappear within a few days or weeks. Can you reduce the symptoms? Changing lifestyle and diet always requires an adjustment period. Observe your body and how the new menu makes you feel so that you can make the most of it and don’t overdo it at the same time. Exogenous means made by external factors. Therefore, exogenous ketones are supplements, created outside of our bodies. When used correctly, these types of ketones can ease your weight loss process; consider is another helping hand to get you to your goal. They naturally suppress appetite, raise your levels of BHB ketones in your blood fast (even if you have really low levels). There is a lot of might and could, but we still lack proper scientific research of raspberry ketone link with either ketosis or weight loss. The molecules of raspberry ketones supposedly contain a stimulant that aids in fat-burning. There are a few studies on mice and rats, but all the doses of the supplement were extraordinarily high, and it’s, therefore, difficult to evaluate if these ketones do anything to boost weight loss in humans. Yes, if taken in minimum amounts, which would be, according to the FDA less than 2 milligrams per day. Anything more has not been researched yet, apart from this 2015 research suggests that raspberry ketone in large quantities could have potentially harmful effects on the heart and the reproductive system. Synthetically made, these are liquids that contain raw BHB without any additional compounds. That means that they get used quicker by your body because it doesn’t have to extract BHB from anywhere else. It’s already there, served on a plate. 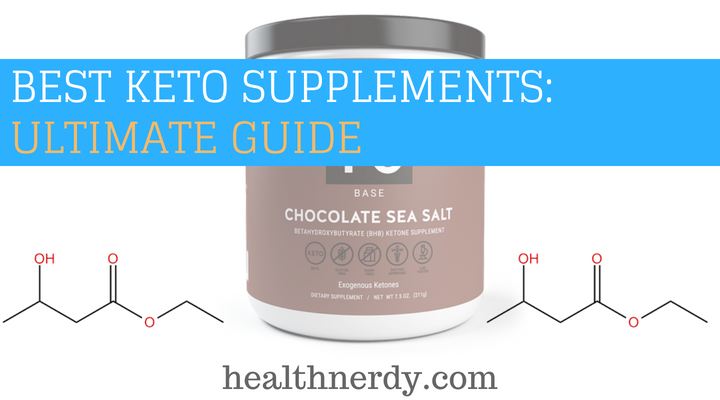 These ketones have a better effect on increasing your blood ketone levels. One of the common side effects is gastric distress (gi distress), and the taste of these supplements is difficult to overlook and overcome (think alcohol, nail-polish remover, a squeeze of lemon, and a toilet cleaner). Naturally derived compounds, these are known as ketone mineral salts or BHB mineral salts. It is a ketone supplement where BHB mixed with magnesium, sodium, calcium or potassium. While this improves the absorption of the ketone bodies, it may not raise levels of ketones to the same amount of ketone esters. The good news is that the taste is acceptable and there is less chance of diarrhea as a possible side effect. No matter the type of the supplement you decide to try in the end, several advantages come with exogenous ketone use. Exogenous ketones balance your food cravings because they act as appetite suppression. This diet as a whole can help regulate blood sugar levels. It might also give you a healthier approach towards food by assisting you with appetite control, binge eating, and overeating. Exogenous ketones activate ketosis which can last several hours. That means you burn fat more than you would otherwise because the fat is now body’s primary fuel, not glucose. What’s more, the excess ketones don’t typically interfere with your body; they are flushed out of the body and not stored. The kidneys filter them out of the system through urine. There is an option that excessive ketones to be converted to body fat, but your levels of BHB would have to be exceptionally high. That’s why the chances of body-fat threat are minimal, and it’s not a thing of concern. When it comes to cognitive benefits of ketosis, the effects may not be visible momentarily. You’ll notice the changes after a while: you will be able to focus more, stay concentrated because the glucose isn’t the only fuel source your brain needs to function optimally. Using exogenous ketones for athletic benefits should boost your physical and athletic performance. Providing you with additional energy and suppressing appetite at the same time, these supplements can help on your way to an improved performance by enabling you to train harder and longer. According to different studies, the exogenous ketones have anti-carcinogenic properties. The cancer cells apparently can’t use the ketone bodies as a fuel for their growth. 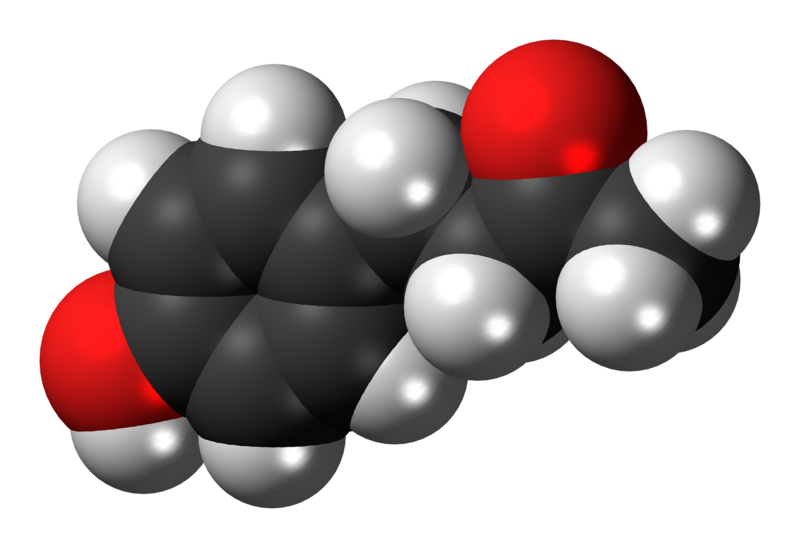 One study concluded that using ketone supplements, especially BHB salts, raised the chances for survival of mice with metastatic cancer up to 69%. With their anti-inflammatory properties, the keto supplements can block the inflammasomes, a group of proteins that cause inflammation. With aging, we are more prone to neurodegenerative diseases, such as Alzheimer’s. The ketone supplements seem to improve the neuroprotection and slow down the decline of mental function. You can read Peter Attias experience here. One Study published in in the Journal of Physiology found that drinking a ester supplements may lower your blood sugar (link). Ketogenic diets can have a greater impact on fasting insulin levels, in obese and overweight individuals when compared to standard low-fat/drug weight-loss interventions. So if you have diabetes with increased levels of fasting insulin, consider using a ketogenic diet. Diet also lowers blood triglycerides to mitigate any risk factor for heart disease (cardiovascular disease) while at the same time increasing levels of HDL cholesterol. While in ketosis you might start running low on electrolytes because of the lack of water and frequent pee time. When taking supplements, you’ll be in ketosis longer, which means more visits to the toilet. You can take sodium and potassium or drink a Gatorade or any other drink to boost your electrolyte intake. By taking electrolyte supplements you can support healthy muscle function and avoid symptoms of the keto flu. Ketones cause bad breath, but there’s nothing you can do about it. The only option you have is not leaving your house without chewing gum. It is quite common, and it should minimize or disappear once you get accustomed to ketones. A mineral imbalance may show itself in physical symptoms such as cramps and is often because of magnesium deficiency and can be solved by taking magnesium supplementation. Known also as 7-ketodehydroepiandrosterone, the 7-Keto DHEA is a supplement that helps you lose weight (especially belly fat) by boosting your metabolism. Creatine is a compound present in our bodies, especially muscle cells. People often take it as a supplement to additionally build up the muscle mass. In combination with a keto diet, it can be beneficial, but only with a regular workout (you can take keto preworkout or protein supplements instead such as collagen supplements). Taking about 5 grams per day creatine monohydrate powder supplement is perfect supplementation strategy if you are looking to increase strength, muscle mass and power. BCAAs (branched-chain amino acid) support maintenance and muscle building and maintenance on a moderate-protein diet. There are a lot of exogenous supplements on the market, and it’s difficult to choose between so many options. 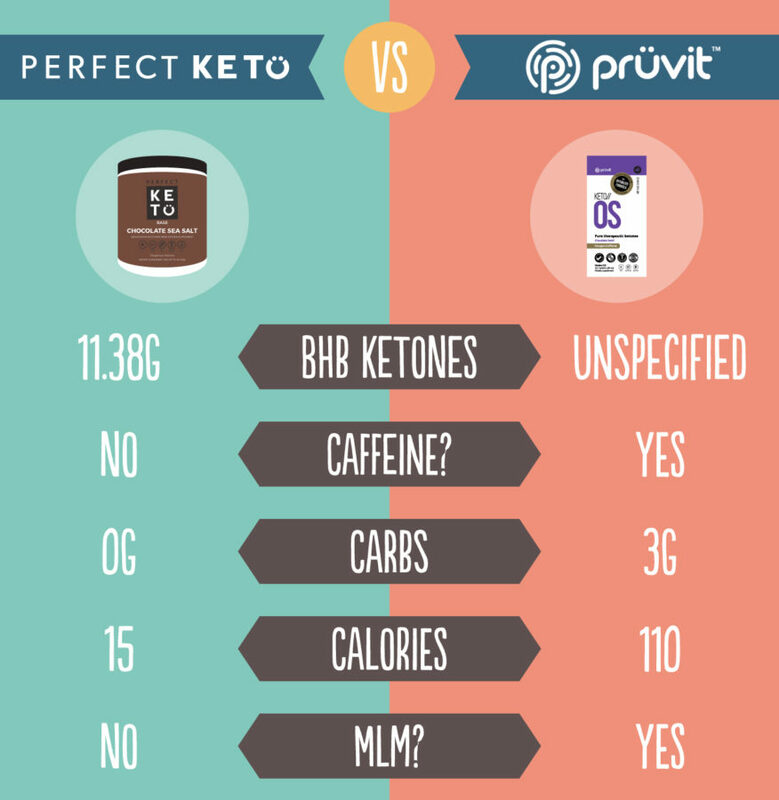 After all, what’s the difference between Perfect Keto vs. Pruvit? Or perhaps PK Base vs. Keto OS? Enhanced with BHB such as Keto BHB Salts Supplement with goBHB, there are others that load you with energy (increased energy), clear your mental focus, improve your gut health and serve as an additional kick in your regular workout process. The one thing, common to all these dietary supplements to increase ketosis is that they all have an unusual taste. We already talked about reviews of keto pills, Esters, Salts, Esters, now let's take a look at additional supplements you may need. Fatty Fish is the better foods to eat to stay in ketosis. Omega3 Fatty Acids such as krill oil or fish oil contains Omega-3 fatty acid docosahexaenoic acid (DHA) and eicosapentaenoic acid (EPA). EPA and DHA been found to reduce heart disease risk, fight inflammation and prevent mental problems (link). Also, the huge health benefits of taking fish oil supplements is to improve triglyceride levels, promotes a healthy heart. 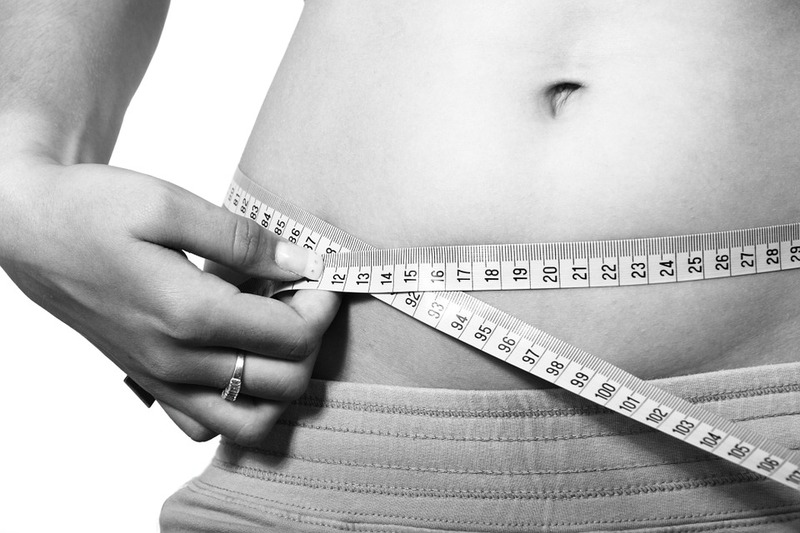 Alpha lipoic acid (ala) and omega-3 oils help to switch into lipolysis by optimizing insulin sensitivity. Vitamin D is important for many processes in our body as needed vitamin for an overall health. Vitamin D3 is good idea for everyone no matter which diet you are following (link). Dairy products, such as yogurt and milk, are fortified with vitamin D as well. Vitamin D is also good for regulating cellular growth, supporting your immune system, bone health and lowering inflammation (link). Consuming higher fat content can be tough on our digestive system. digestive enzyme. So, if you consumed lower amount of fat before, you may have some digestive gastrointestinal symptoms such as diarrhea and nausea. If you’re having issues such as bloating, nausea, diarrhea digestive enzyme blend (containing enzymes that break down proteins (proteases) and fats (lipases) may help with your digestion. MCT oils are supplements with the following benefits: Ketone Production, Appetite Control, Increased energy levels, help with weight-loss goal. Coconut oil is one of the best natural sources of MCT, with almost 60% of its fatty acids in the form of MCTs (link). Potassium may helps the body to maintain normal blood pressure and regular heart rate. It also may help to build proteins. Potassium supplementiong is not advisable, as too much might be toxic. Whole foods are the best sources: leafy greens, nuts, salmon, avocados and mushrooms. It is good idea in general to increase vegetable intake. Many greens powders contain a mixture of plants such as spirulina, spinach, kale, chlorella, broccoli, wheatgrass. It is an easy way to boost a nutritional value of any diet. You can buy it in powder form and mix it with water or add it to your protein cocktail. Whether you’re looking for a ketogenic supplement that can help with weight loss or an extra fuel source to boost your endurance and help you train like a beast, exogenous ketone supplement can be what you need in the right situation. Fuel on a low-carb diet, ketones are much more than that: anti-inflammatory agents that also protect your cognitive function, your brain, and your body. Don’t forget that exogenous ketones are not a magic pill to sort out your life. With a proper combination of nutrition, workout, and a healthy mindset you may be able to work wonders and find that extra kick to change your life for the better.